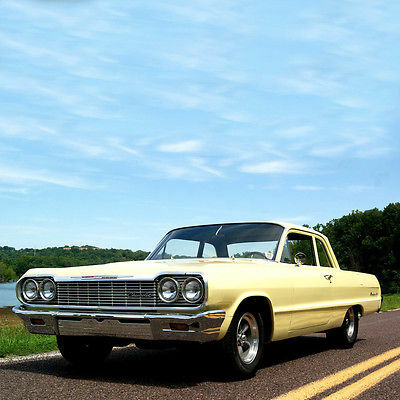 1964 Chevrolet Biscayne Click the icon to hear our commercial! CALL US TODAY TO MAKE AN OFFER 636-600-4600 sales@motoexotica.com MotoeXotica Classic Cars will ensure your online buying experience will be a pleasurable one from start to finish. We have been selling classic and exotic cars exclusively since 1987! We have been a pioneer and trusted, top-rated eBay seller since 1999 with thousands of positive feedbacks and are a proud member of the BBB with an A+ rating! We are located in St. Louis, Missouri in a brick and mortar 60,000 sq. ft. building under one roof on 5 acres with over 200 cars in stock. To secure a car, we ask for a nominal $500.00 deposit and give you a 7-day grace period to inspect the car. If you or an agent, upon completion of a scheduled inspection at our St. Louis location, find the car not to your liking, we will refund your deposit with no questions asked. This is unique to our industry! We offer financing through the best lenders in the industry with competitive rates. If you should need financing to put this car in your garage, call us today at 636-600-4600, we will make it happen for you! Please see my "ME" Page for classic cars, sport & exotic cars, muscle cars, antique & vintage cars, rat & hot rods, motorcycles and more all listed on eBay. 1964 Chevrolet Biscayne Description 1964 Chevrolet Biscayne MotoeXotica is pleased to announce our latest addition, a rare two-door 1964 Chevrolet Biscayne. This Biscayne has been painstakingly converted into the sleeper you see before you. Most of the exterior and interior trims found on the other full-size models were removed and most creature comforts were optional. These were bare-bones American muscle cars that provided a perfect platform for hot-rodders to start from. 350ci V8 Edlebrock air cleaner & valve covers Dual Flow Master exhaust Hurst quarter ratchet-style stick shifter Extremely straight & Dry body Newer black vinyl interior, in fantastic condition Bright work in great condition 15” American Racing wheels Newer radial tires front: 225/70R15 rear: 275/60R15 Moon Racing steering column mounted tachometer Finished in a handsome pale yellow the exterior paint is in great condition with only very minor imperfections found upon closer inspection. The body is solid and very straight; there are absolutely no signs of body work or any damage that we have found. All of the exterior bright work is in great condition with only some age showing on the edges of chrome badging. The interior was recently redone in a thick black vinyl and compliments the exterior paint very well. Overall this Biscayne is a great driving car; it gets attention wherever driven, sounds healthy, and is a very unique early muscle car. GET OUT AND DRIVE!!! 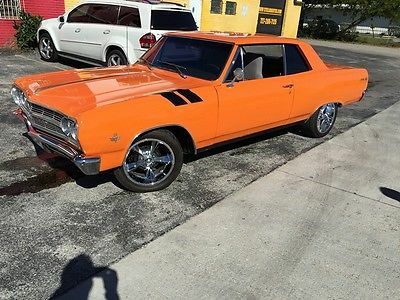 VIN: 41111C177427 Miles: Exempt Specifications Asking Price: $26,900 Miles: VIN: 41111C177427 Year: 1964 Make: Chevrolet Model: Biscayne Title: Clear Warranty: Condition: Used Options: Engine: V8 Transmission: Automatic Body: Two-Door Doors: 2 Stock Number: 150712 Lot Number: Exterior: Yellow Interior: Black Video Terms & Condtions ALL SALES ARE FINAL WITH CAR BEING SOLD WHERE/IS, AS/IS. ! TO BID YOU MUST BE OVER 18 and pay with a money order, cashier’s check or wire transfer. Please do not bid without the intent to finalize this transaction. Sorry, NO bid retractions allowed, ask questions BEFORE you bid. Your bid is a binding contract. EBay is an advertising tool and many of our vehicles sell before the auction ends. 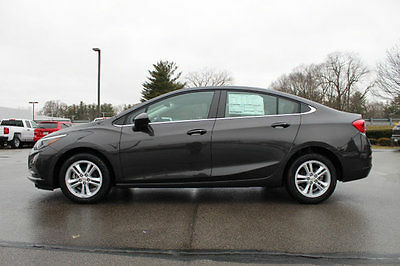 Call us today at 636-600-4600 to make this vehicle yours! Seller reserves the right to end auction early. We ask for a nominal $500.00 refundable deposit. This is unique to our industry! Motoexotica Classic Cars has been a part of eBay Motors since 1999 and has maintained a great reputation and 100% positive feedback. We would like to keep it that way for future customers! 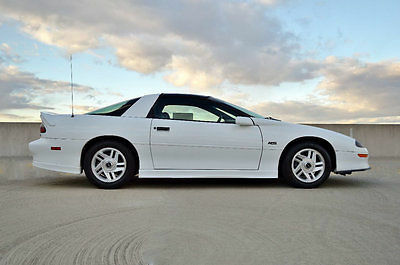 The Vehicle is being sold by a Licensed State of Missouri Dealer (Motoexotica Classic Cars, LLC). You will need to check with your local government for any special rules regarding these older vehicles passing any inspections. We will not be held liable for any vehicle not passing inspection. The vehicle is offered with a right to a personal inspection by any bidder or agent. If you or an agent upon completion of a scheduled inspection at our St. Louis location finds the car not to your liking, we will refund your deposit with no questions asked. Feedback MUST be left before the vehicle is released to the buyer/agent/shipper. If you are the high bidder and unable to inspect said vehicle before auction close, you or an agent will have seven (7) days to inspect said vehicle after the close of auction. I encourage a physical inspection strongly to avoid any misunderstandings or representations. All disputes arising out of or resulting from this sale shall be finally determined by binding arbitration in St. Louis, Missouri in accordance with the commercial rules of arbitration of the American Arbitration Association. The arbitration shall be carried out by one or more arbitrators in accordance with said rules. Any award shall be enforceable in any court of competent jurisdiction in the same manner as judgments. This agreement to arbitrate shall survive the sale of the automobile described herein. Buyer and Seller hereby agree that Missouri law shall control for all purposes under this Bill of Sale. Buyer and Seller hereby consent to the personal jurisdiction of the state and federal courts of Missouri to specifically enforce the agreement to arbitrate and to enter judgment of and enforce the award of the arbitrator. All above terms and conditions are applied to vehicle sales, whether through EBay or otherwise. Payment Terms Payment must be made by Cashiers Check, Money Orders or Wire Transfers payable in US Dollars. A Refundable deposit in the amount of $500.00 must be received within Twenty-Four (24) hours of the auctions close either by Master Card, Visa, Discover or PayPal (Credit Cards or PayPal for deposit only NOT for full payment). Purchaser cannot make any claims of ownership to said vehicle without payment in full. The buyer has seven (7) days from close of auction to inspect the vehicle. If an inspection or decision takes longer than seven days and you find the vehicle not to your liking, your deposit will be forfeited and the car will be relisted. Final payment must be received within ten (10) days of the auction close. 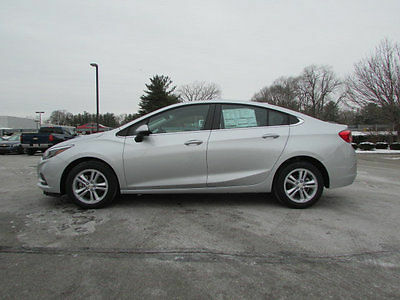 The refundable deposit only applies if you or an agent inspect said vehicle in St. Louis and find it not to your liking. Documentation Fee: There will be a $195.00 fee added to each car sold. This includes title transfer, inventory tax, holding costs, vehicle preparation, storage and priority documentation delivery. We will not be responsible for buyer’s remorse or problems found to said vehicle once they have left our property. We are just being realistic; most of the cars we deal in are vintage and by their very nature will need TLC and some degree of attention sooner or later. These are not new cars and your expectation should not be of a perfect, new car. Once full payment has been received, Seller will email or fax a copy of clear title, Bill of Sale, Buyers Guide and additional DMV forms to the Buyer to sign and return via email or fax. The fully-executed forms must be returned to the Seller prior to the shipment of said vehicle. Original paperwork will be sent to Buyer via USPS Priority Mail within ten (10) days from date of final payment. Transportation For a quote on shipping anywhere in the world, please feel free to email us at sales@Motoexotica.com or call 636-600-4600. We will give you an estimated cost for open and enclosed transport or overseas. We are happy to accommodate our international buyers! Over the last several decades we have exported thousands of cars to Norway, Germany, Estonia, Puerto Rico, Hawaii, Alaska, Costa Rica, Brazil, British Columbia, Canada and many other locations around the world. Overseas shipments will be placed into a steel container for safe sea passage or optional roll-on/roll-off (RoRo). We take care of all the details and paperwork. All you have to do is collect the car at your nearest port and enjoy! Please note that we are not a transport company and only offer this service as a convenience to our customers. You are more than welcome to arrange your own shipping. Transportation will commence only after final payment and signed documentation are received. Financing We offer financing through many of the best lenders in the industry. 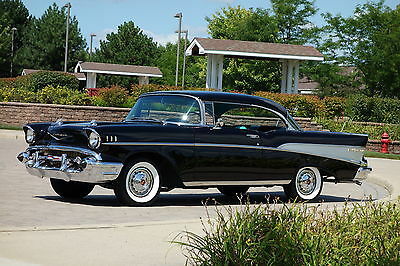 They are currently offering very attractive rates for all collector and special interest automobiles. With loan amounts from $10,000 to $500,000, and flexible terms of up to 12 years, you can finance the car of your dreams. Call us at 636-600-4600 for additional details. Warranty ALL SALES ARE FINAL WITH CAR BEING SOLD WHERE IS, AS IS! The vehicle is offered with a right to a personal inspection by any bidder or agent of any bidder. The vehicle is available for inspection prior to bidding. If you are the high bidder and unable to inspect said vehicle before auction close, you or an agent will have (7) days to inspect said vehicle after the close of auction. I encourage a physical inspection strongly to avoid any misunderstandings or representations. All used vehicles should be assumed to have some degree of wear. No vehicle is perfect to everyone. Each vehicle has its strengths, styles, tendencies and shortcomings. Therefore, despite our best efforts to verify a vehicle’s mechanical condition, we are not able to warranty a manufacturer’s workmanship or previous owner’s diligence in care. It is for this reason that all vehicles are sold ”WHERE/IS, AS/IS”. 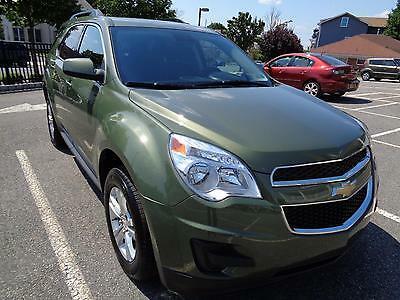 We have described the above mentioned vehicle to the best of our ability. However, with all classic and exotic vehicles, the condition is subjective. Please be advised that no oral or written statements concerning any vehicle constitutes a representation or warranty of the condition of the said vehicle. INDUSTRY UNIQUE RETURN POLICY: If for any reason you receive your vehicle and have buyer’s remorse, are not happy with the vehicle or just don’t want it for any reason we will purchase the car back from you. We must be notified in writing of your decision to return the vehicle within seven (7) days of your receipt of said vehicle. The vehicle may not have more than 75 additional miles on the odometer from the time it left our possession and be returned in the same condition that it left. You WILL be responsible for a restocking fee that will equal 20% of the purchase price of the vehicle, no exceptions. You will also be responsible for shipping the vehicle back to our shop at your expense. Copyright © 1999-2015 MotoeXotica. All Rights Reserved. All other trademarks, names and anything else implied in this document are owned and protected by their respective owners. 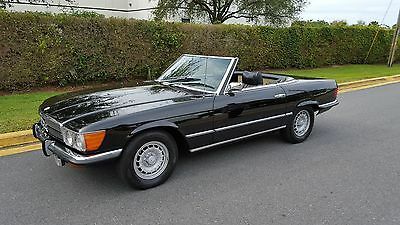 1972 Mercedes-Benz 350SL If you love the look vintage Mercedes-Benz roadsters but are tired of the frequent maintenance and costly repairs then look no further. This beautiful Mercedes looks completely stock but under the hood is a 350 c.i. small-block Chevrolet V8. This is as maintenance free of a vintage Mercedes you will ever see. This conversion was professionally and properly done and you could never tell by looking at the car. It even uses the original style Mercedes rear muffler that keeps the car quiet and tasteful. The engine is a stock Chevrolet 350 with 300 hp that runs flawlessly. It uses a GM a/c compressor that works with the original dash knobs and a/c vents and blows ice cold. All of the original gauges are operative and no extras have been added. Under the hood is very neat and still retains the original radiator which keeps the engine well below 190 at all times. Aside from the engine and a/c, everything else is completely stock. Stock brakes, rear end, front end, steering, electrical, etc. This is a 1972 model that is the first year for the third-generation SL and among the most desirable as it has no crash bumpers. The body is straight and completely rust free. Beautiful black paint. The interior still retains the original seats, door panels, and carpet and is in excellent condition. It has a newer convertible top and matching Michelin tires. It has maintenance free factory crank windows. Everything works properly, even the original radio. This car is turn key and ready to enjoy. I doubt you will come across another as tastefully done as this. For more information please call 954-422-2895. The above vehicle is being sold as is with no warranties. This is a 44 year old vehicle and the above descriptions is subjective, for my own identification purposes only, an should not be relied upon in your evaluation of this vehicle. Inspections are highly encouraged in person or via a third party prior to bidding. All sales are final. This vehicle must be paid for via wire transfer within three business days of the close of this auction. For more information please call 954-422-2895. RELISTING DUE TO NON-PAYING BIDDER - PLEASE FOLKS - IT TAKES TIME AND MONEY TO LIST AN ITEM - ONLY BID IF YOU ARE SERIOUS!!!!!!!!!!!!!!!!!!!!!!!!! Selling as-is with no reserve. I bought the truck only to use the engine. Cab and doors are rough. Frame & trailing arms are good with only surface rust. Bench seat, disc brakes that still work. Has a clear title, automatic trans and was an AC truck. ENGINE IS NOT INCLUDED. TRUCK MUST BE HAULED AWAY FROM BLACKSBURG, VA 24060. THIS IS A PARTS/PROJECT TRUCK. STEPSIDE BED LOOKS OK FROM AFAR BUT FLOOR AND INSIDE FENDER ARE ROUGH MUST BE PICKED UP WITHIN 7 DAYS OF AUCTION CLOSE. CASH ONLY. NO TRADES. BUYERS WITH LESS THAN FIVE POSITIVE FEEDBACK CONTACT ME PRIOR TO BIDDING OR I WILL CANCEL YOUR BID. 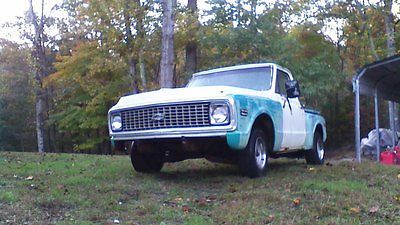 On Oct-13-15 at 18:36:11 PDT, seller added the following information: To answer a few more questions: The truck has power steering and was driven on the road up until a few years ago. I drove it on and off the trailer a few months ago before I removed the engine. The brakes are still firm and surprisingly work well. Underhood wiring is there as well. Gas tank still has some good gas in it. The wheels are rally wheels with fair condition trim rings. A good friend of mine who really likes these trucks said the frame is solid and the trailing arms look good too. 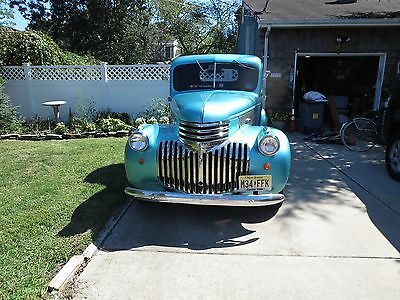 He said the bench seat appeared to be original and that the steering column and gearbox were desirable on these trucks. You get what is pictured, I have nothing else for it. This is a 2001 cheverolet Monster Truck.The top of the cab is 9.5 feet tall.I have owned this truck for several years.It is a show truck and nothing else. It has won numerous awards.The truck only has 44,000 orginal miles.The Truck orginally came out of Flordia.I purchased the truck in Durham,NC. at a dealersip. This truck is not intended for every day use.It uses an enormous amount of Gasoline. I am only selling to buy a commercial vehicle. This truck will not go cheap.So if you want this TOY, you will pay for it.Attention no low Ballers!!!!!!!!!!!! The truck has 44 inch tall tires.It a body lift.The suspension is at least a 12 inch lift,then some.Transportation is up to the buyer,and can be kept in the warehouse until shipping is arranged. THIS LITTLE TRUCK HAS BEEN OVERHAULED, OVER AND BEYOND !BORN 1942, WITH ONLY A FEW TO SHOW FOR NOW !, CAUSE WWII STARTED AND WAS TAKEN OFF ASSEMBLY LINE IN 3 MONTHS, HENCE, VERY FEW IN THIS CONDITION LEFT! REBORN IN NEW HAMPSHIRE, BED MADE OF SOLID OAK, INTERIOR OLDER RESTORATION, ALL GAUGES WORK, HOT WORKING HEATER, OOGAH HORN ! DASH ,HAND MADE OAK. NOW THE REPLACEMENTS,ENGINE REBUILT,2 YEARS ,REAR CORVETTE , ALL REPLACED COMPLETE BRAKE REDONE ALL !REAR REBUILT COMPLETELY ! GRANT STEERING WHEEL, RAIO ,STEREO SPEAKERS ON DOORS. VACUM, WIPERS. A TROPHY WINNER EVERYTIME. NEW OUTSIDE PAINT JOB ,3 MONTHS OLD. TRUCK IS SOLD AS IS WHERE IS OF COURSE ! !CASH ,CHECK CLEARING FIRST. PICK TRUCK UP , DRIVE HOME ! RON 609 709 1216 ! I CANNOT GET IN OR OUT OF TRUCK, ANYMORE. INJURY!!! DRIVES COMFORTABLE 65 MPH, PARKWAY,, NEW DUAL EXHAUST.MUCH MUCH MORE, TRADES CONSIDERED ! 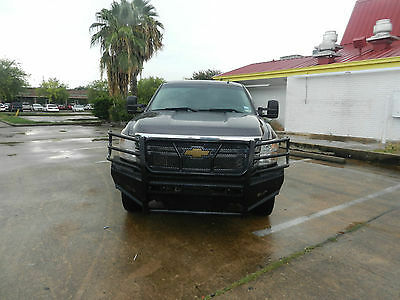 2011 Chevy Silverado 2500 HD 6.6 turbodiesel engine with 103k miles. 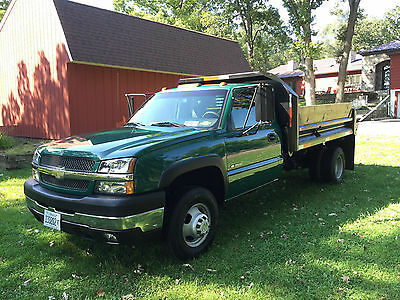 tow package , z71 package , crew cab , good tires , Clean Black Leather seats , Crew Cab , power doors , remote start , power seats , power steering wheel , cold ac and warm heater , Allison transmission . 4x2 wheel drive.